Registered: Ministry of Justice of Ukraine, 02 February 2007. Legal address: 16, Oles Gonchar str., Dnepropetrovsk. Founders: citizens of 20 regions of Ukraine. Structure: regional, municipal and district organizations on the territory of Ukraine. Central task: enforcement and protection of the rights of the Ukrainians to an environment that is safe for life and health, and to compensation for damages inflicted through the violation of this right; the right of free access to information about the environmental situation, the quality of food and consumer goods. provision of information to the public concerning the environmental situation, the quality of food and consumer goods. 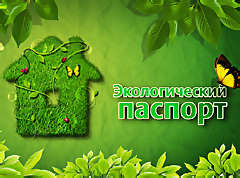 participation in environmental policy-making by giving proposals to the state authorities and administrations, local self-government authorities. assisting in the environmental awareness-building, raising the level of environmental education and culture through the promotion of knowledge about the state of natural environment, edition of information and environmental publication. establishing facts of exceeding maximum allowable emission of contaminants, water pollution, land contamination by chemical and radioactive substances, sewage, industrial, household and other wastes. establishing facts of harmful effects of physical (acoustic, electromagnetic, ionizing, etc.) and biological (microbial strains, biologically active substances) factors on human life and health, as well as the environment. establishing facts of information hiding and distortion, misreporting as to the actual volume of emissions, waste generation and management, types and extent of influence of the physical and biological factors on human life and health. detecting violations of sanitary-hygienic requirements for planning and development of population centers, construction and operation of industrial and other facilities, catering and water supply services, treatment and decontamination of industrial and domestic household waste. detecting violations of compulsory insurance for environmentally hazardous facilities and environmentally dangerous goods in transit. establishing facts of uncontrolled sales of food and drinking water, pollution thereof with pesticides, heavy metals, radioactive elements, etc. establishing facts of uncontrolled use of construction materials, minerals and mineral fertilizers with higher level of radioactive elements, heavy metals in housing construction and agriculture. establishing facts of manufacture, import and sale of substandard drugs. establishing facts of manufacture, import and sale of petroleum products which do not meet the technical and environmental requirements. establishing facts of irrational utilization and restoration of natural resources. providing citizens with free access to information about the state of the environment through development and operation of the environmental automated information analysis system network. initiating and conducting public environmental expert reviews. call on legal entities, irrespective of their form of ownership, and individuals to comply with ecological safety rules. to take legal action in claiming compensation for damages (including moral) as a result of violations of environmental protection laws, including life and health protection. judicially challenge verdicts, actions or inaction of public control and administration authorities, local self-government authorities and other government agencies, which violate the environmental rights of citizens. sue for a ban of conduct of natural or legal persons engaged in activities related to environmental standard violation.